Hello! 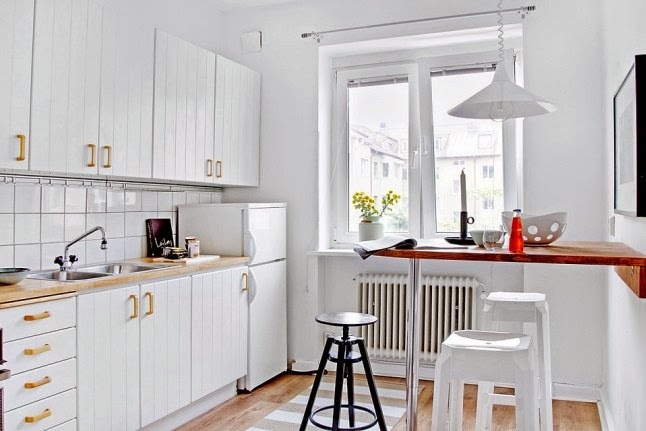 If there's one thing Swede's do well, it's make the most of every cm of a small apartment and still make it look spacious. Take this 45 metre square space for example. The owners have managed to include a beautiful sitting room, sleeping area and home office in one room (see the plan here). 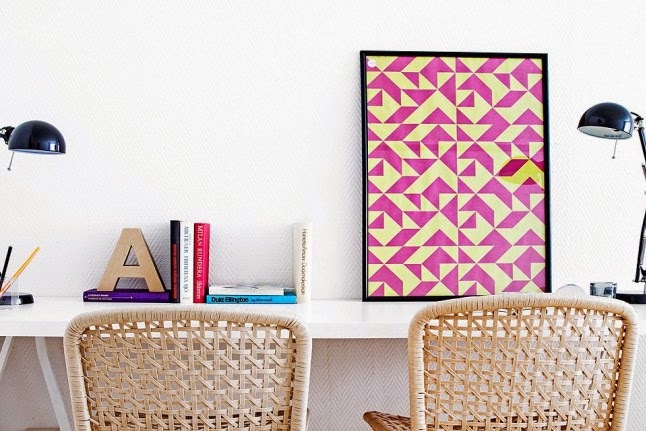 The space comes together thanks to the monochrome scheme and yellow and pink accent colours through out. Such a cheerful home don't you think? 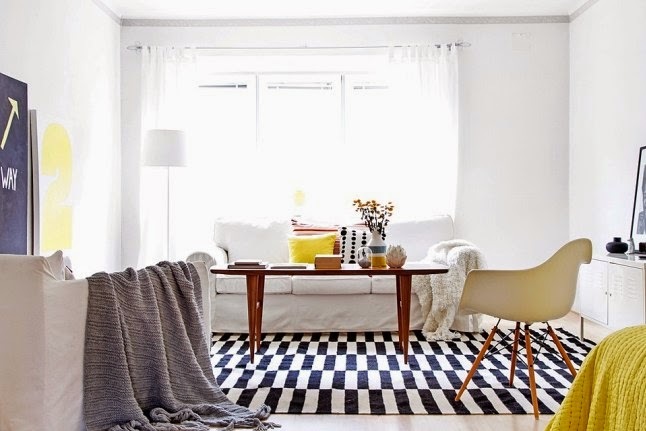 I spy a few great pieces including the Stockholm rug, PS Cabinet and Forså lamp by IKEA. The Kudde Linus is similar to the cushion on the sofa. Try LiveAuctioneers for mid-century funriture and vintage lamps. Eames DAW chair (15% off with code MYSCAN). 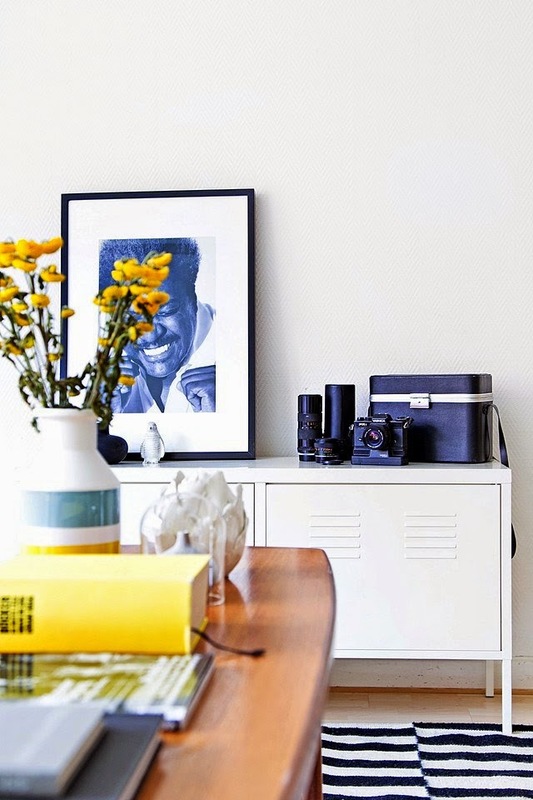 If you're challenged for space and need a little more inspiration take a scroll through these home tours - such unbelievably clever use of space!